John Flanagan wrote a new series under the same theme of the Rangers Apprentice. 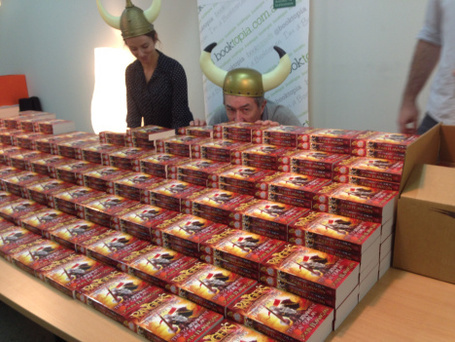 So there is Ranger`s apprentice 1-12, but also a another series before book 1. 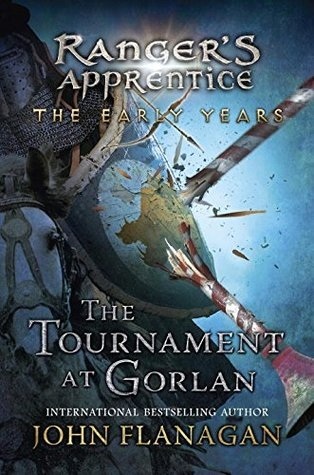 This series exist out of untill now two books: The Tournament at Gorlan and The Battle of Hackham Heath. The First Book: "The Tournament at Gorlan"
This book is about Halt and Croweley. They just came back from Hibernia and don`t know each other very well. However when a messenger with Morgarath`s colours rides by and shouts they have to step aside, Halt can not let him pass untouched. So he trows him of his horse. Thats how they discover that Morgarath wants to take over the country ans that he took Prince Duncan and King Oswald as prisoners. ​In the mean time a fake Duncan destroyes Duncans reputation, and Morgarath wants to replace all Rangers by bad replacements. He already started, and a few rangesr already lost their position. Halt and Duncan want to free Duncan and Oswalth and they want to show the country what Morgarath is planning, but they can`t do that alone. They gather all the Rangers who lost their position and form a group of 11 trained Rangers. Then they try to free Duncan and oswalth and they try to beat Morgarth.